Boundless 2010 anthology looks absolutely GREAT! 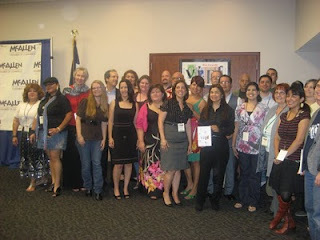 I was really impressed with the release reception last night :) Lots of great poets all in one room. Here's me, reading my poem "Original Sin". 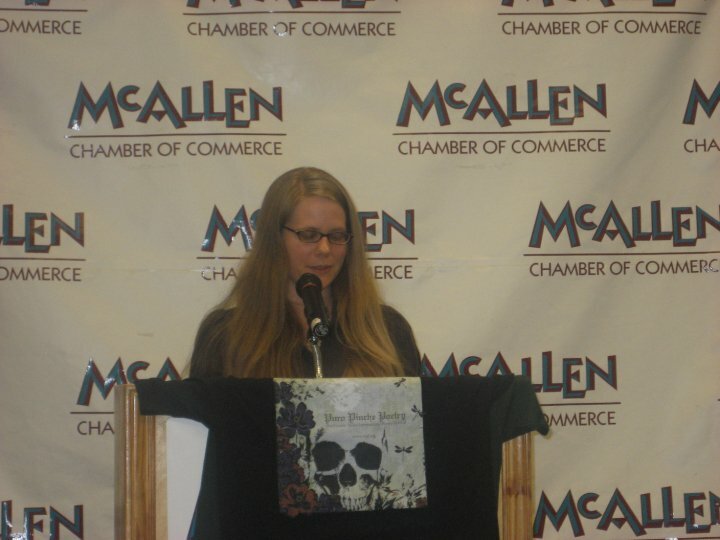 I look so professional with the McAllen Chamber of Commerce backdrop, yes? 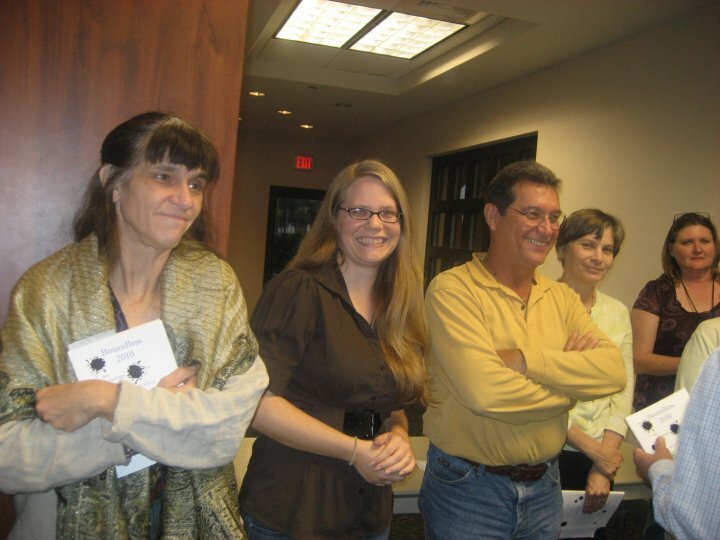 And here's another picture of me, just a little too excited to get this whole Valley International Poetry Festival thing started! LoL. Standing next to me is poet Kamala Platt! Anyway, the reception went great, the anthology is wonderful, and overall I'm pretty impressed. Tonight VIPF continues with a reading and poetry slam at Jitterz in Mission. I'll hit the stage at around 6. I'm also going to be raffling a signed copy of my new chapbook! This weekend is bound to be a great weekend. I can't wait until I get out of work!